Leave this enjoyable and information packed seminar with a new ability to help struggling individuals deal with issues related to self-harm, multiple suicide attempts, frequently hurt feelings, intense and unpredictable mood swings, shame, trauma, toxic relationships and other problems that impair their ability to function in society. Borderline personality disorder is widely considered the most difficult to treat diagnosis faced by the mental health community. Co-occurring BPD characteristics are associated with treatment failure for a broad range of other conditions. 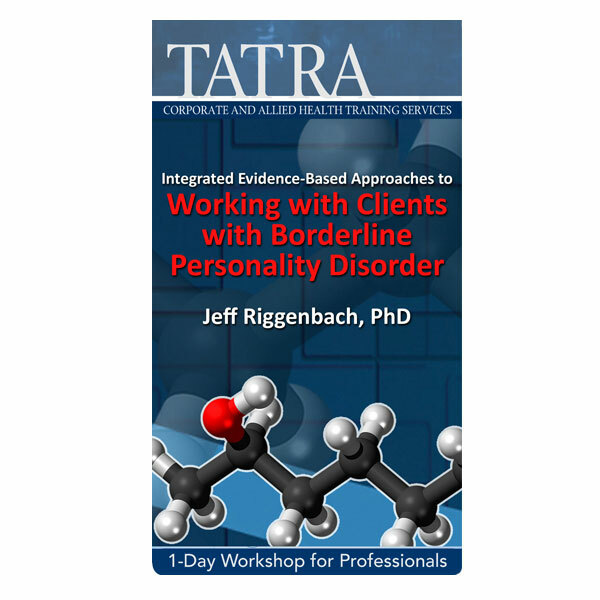 Until recent years, many practitioners have considered the BPD diagnosis “untreatable” but the emerging research suggests this is simply not the case. Dialectical Behaviour Therapy (DBT) has paved the way in pioneering new attitudes and outcomes when working with this condition. Although components of DBT skills training are helpful for most, some individuals continue to respond poorly to treatment. Many clients who suffer from BPD lack motivation, have poor insight, and some have deeply engrained dysfunctional beliefs, unhealthy coping skills, and destructive behavioural patterns that continue to frustrate providers, family members, and consumers alike.